The goal behind EnnQ is to make travel a lot more engaging and informative without the need to spend hours on research and planning before your trip. 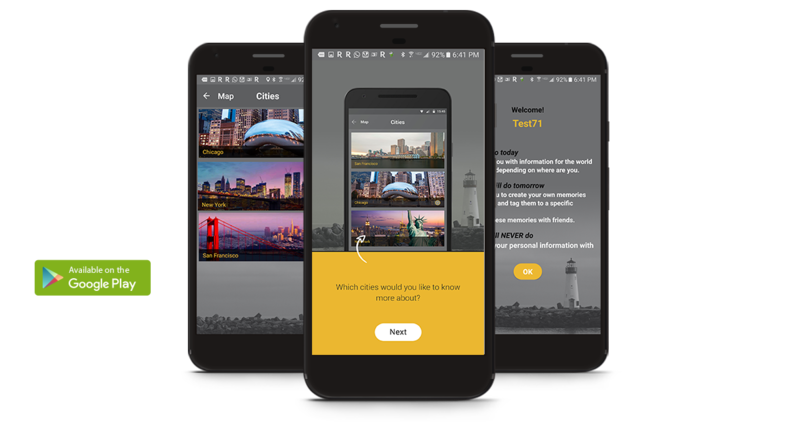 EnnQ is a location based content delivery platform to help users improve their engagement. The content can be audio tours telling you more about the world around you, video content or images that will let others gauge into your most recent experiences. All content sharing is done seamlessly with minimum interaction with your device, so you can stop and enjoy the moment. Just download the cities you are interested in and start exploring.